I was happy when the kid took a break from the smart-alecky Wimpy Kid series and became enchanted with The Spiderwick Chronicles. We listened to the whole series on CD in the car, and really enjoyed the characters and the worlds created by authors Tony DiTerlizzi and Holly Black. 1. The Field Guide – After their parents’ divorce, the Grace kids and their mother move into their great-aunt Lucinda’s decrepit old mansion and find her father’s guide to faeries and other creatures, Arthur Spiderwick’s Field Guide to the Fantastical World Around You, which leads them into another, extremely dangerous, world. 2. The Seeing Stone – Mallory and Jared must rescue Simon, who has been kidnapped by goblins. They meet Hogsqueal, who becomes a sort of associate, and Byron, a griffin, who Simon adopts as a pet. 3. Lucinda’s Secret – The Grace children visit their great-aunt Lucinda at the mental institution where she lives. She tells them how she got there and what became of her father, Arthur Spiderwick. 4. The Ironwood Tree – Jared and Simon must rescue mallory, who is being held prisoner by dwarves, associates of the evil ogre Mulgarath. 5. The Wrath of Mulgarath – Hogsqueal and the brownie Thimbletack help the Grace children rescue their mother, who is being held captive by Mulgarath. With all of the kidnapping and rescuing the series does have a Saturday morning serial feel to it, but it is all in god fun. It’s nice that a book, the field guide, is such an important item. The power of words and pictures should never be underestimated. The illustrations by DiTerlizzi are quite engaging, and the otherworldly characters, especially Hogsqueal and Thimbletack, enchanted my daughter. There is a quite dark side to Spiderwick, as the Grace kids are frequently in deadly trouble. But there is also quite a bit of magic, and some of the creatures they encounter are nice to them and each other. The way that the kids bicker but then risk everything to save each other and the creatures that they meet is very appealing. Especially after the whiny wimpy ramblings of the Jeff Kinney series that dominated the kid’s sumer reading. Black Diamond is the third book in a mystery series by author Martin Walker. Dubbed a mystery of the French countryside, the recent paperback release from Vintage once again features Detective Bruno Courrèges, the only policeman in the small town of St. Denis, in Périgord, a former province of France, now called the Dordogne. Detective Bruno is not just a smart cop, but a connoisseur of fine wine, food, and the inestimable local black truffles – black diamonds. 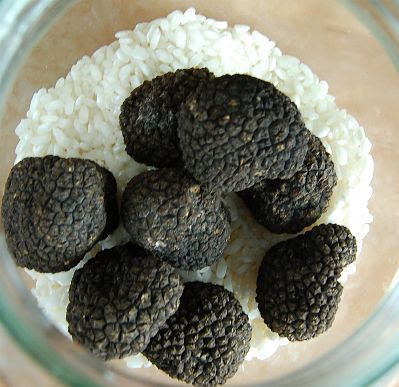 Perigord truffles are a multi-million euro business and are at the heart of this entertaining mystery. Walker takes readers behind the scenes of the truffle trade, where one may be surprised (or not) to learn that there is a lucrative black market for substituting inferior Chinese truffles for southern France’s local gems. A murder, a father-son feud, and Bruno’s own romantic complications with British girlfriend Pamela (and a woman from his past) keep the charismatic detective quite busy throughout this mystery. Black Diamond starts off at a leisurely pace, and although Walker includes some exciting scenes and intrigue, the overall feeling one gets from the book is similar to one of the long, multi-course dinners that Bruno is so fond of enjoying or preparing. The mystery and supporting characters are intriguing, but what really makes the story is its love and indulgence of the local setting, and especially its appreciation for fine food and wine. Walker is the senior director of the Global Business Policy Council, a private think tank based in Washington, D.C. He lives in Washington, D.C. and the Dordogne. In Black Diamond he writes eloquently about such diverse topics as “green” cuisine, local politics, ethnic struggles, and organized crime. Readers familiar with the Dordogne region of southern France or dreaming of a future visit will enjoy following Bruno around St. Denis and its environs (and restaurants). His clever crime-solving is just an added bonus. After reading Black Diamond readers will definitely want to check out or revisit the first two installments of the series. Why did it make no difference?” asked Abilene. The Miraculous Journey of Edward Tulane is a children’s book, geared towards ages 7 and older, but after reading it, I’m not sure what kids might think of it. It is ultimately uplifting, but also, quite frequently and unremittingly sad. It’s a lot like life. The tale will resonate with adults, as love and loss are beautifully examined. 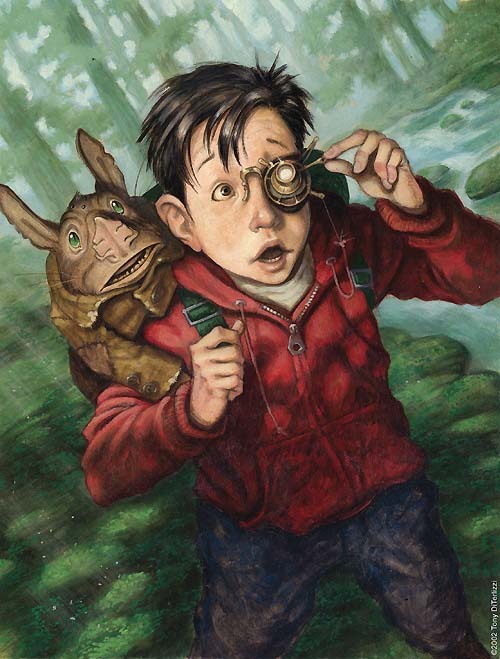 But children may just focus on the dangers and sad moments that befall hero Edward Tulane. Edward is a unique china rabbit, beloved by a little girl named Abilene Tulane. She adores him and dresses him in beautiful clothes and takes him everywhere with her. Edward is also exceedingly vain. He doesn’t consider himself to be a toy. He is something beyond, something special. He accepts Abilene’s love, as something one so fine as himself should deserve, but doesn’t seem to even consider returning it. He is very observant of the world (as his painted eyes are always open), and is especially fond of glimpses of the night sky and the stars, but not very interested in the humans that populate it. But one day Edward is separated from Abilene, and his world is never the same. He is buffeted by weather, chance and other circumstances to a series of new homes and relationships. Through a series of trials and separations he finally finds himself interested in others. 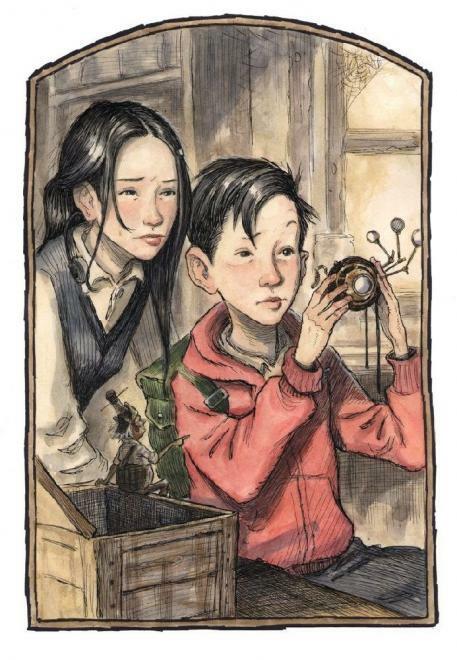 Like Dr. Seuss’s Grinch, Edward must discover whether a china rabbit can have a heart at all. Author Kate DiCamillo’s prose is compact but lyrical. Edward is exasperating, but readers will still care about what happens to him — and especially what happens to the people that he encounters. Edward has an effect on everyone he meets, and eventually they begin to affect him. Illustrator Bagram Ibatoulline’s black and white and color drawings are a perfect accompaniment to the story, their style lending a vintage touch. 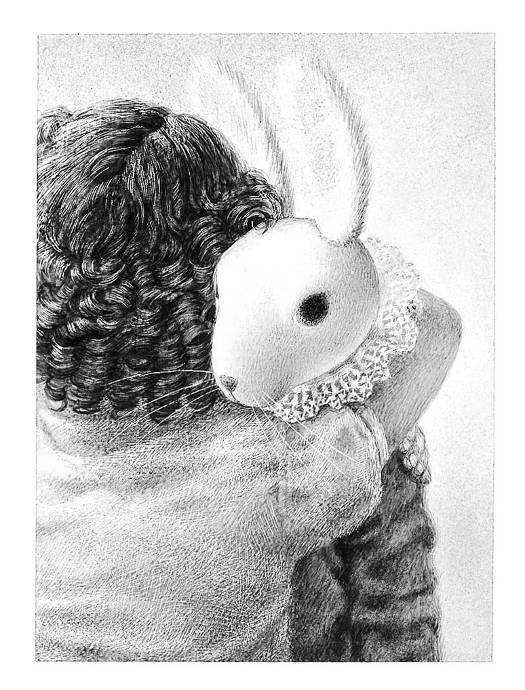 The Miraculous Journey of Edward Tulane is bound to be a classic. I think it might be best for an adult to read the book to a child first, so one can discuss some of the darker aspects of the story — and there are darker aspects. But once a child knows the story and china bunny Edward’s fate, it will certainly be a book to read and re-read. Adults may find they want to pick it up again and again too, as a reminder about love and loss, and how special some things and some people can be in our lives. 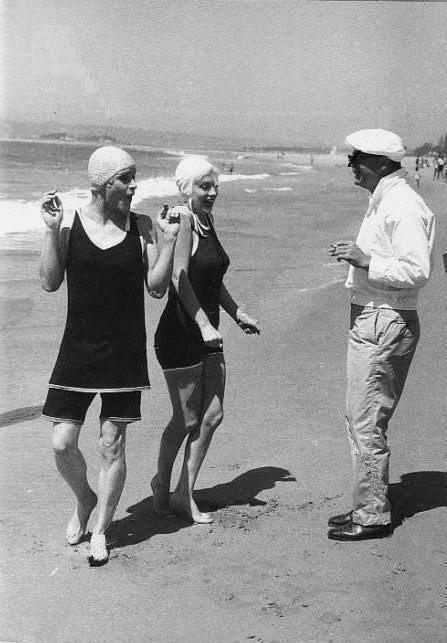 In Tony Curtis’s memoir, The Making of Some Like It Hot: My Memories of Marilyn Monroe and the Classic American Movie the well-known Hollywood actor tells his version of what went on behind-the-scenes of one of the funniest movies ever made. 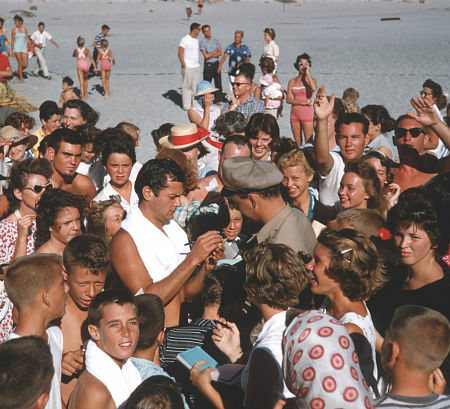 Written with the assistance of film historian Mark Vieira, the book is packed full of great color and black and white photos from the set. Curtis, who died in 2010, had already written two memoirs, Tony Curtis: The Autobiography (1994) and American Prince: A Memoir (2008). So why write a third? Two reasons. Some Like it Hot’s recent heralding as the #1 American comedy of all time by The American Film Institute (AFI). And cashing in on the enduring popularity of Marilyn Monroe, which would certainly guarantee book sales. He complains endlessly about the “special treatment” that Marilyn received. “I looked at the film and I thought that in the beginning of it I was weaker than I really was. Everything was done to keep Marilyn happy. She was chosen, favored over Jack and me. That’s what colored my perception of the film for a long time. Too long. But I finally got past that.” He may have gotten past those feelings, but that didn’t stop him from writing about them, repeatedly. He clearly felt that Lemmon was director Billy Wilder’s favorite and that Marilyn’s difficult behavior earned her special privileges. But for all of the stories about Marilyn’s reputation for keeping people waiting or blowing lines, Curtis has just as many instances where she was letter-perfect or got a scene in one take. The scene where Sugar meets Shell Oil, Jr. on the beach had to be filmed quickly, as noisy jets from a nearby naval base were taking off every ten minutes. Marilyn got everything right on the first take. Curtis repeats the now-infamous anecdotes of the “Where’s the bourbon?” scene which took 59 takes; and how the studio wanted a “big name” like Frank Sinatra to star (who didn’t seem at all interested). 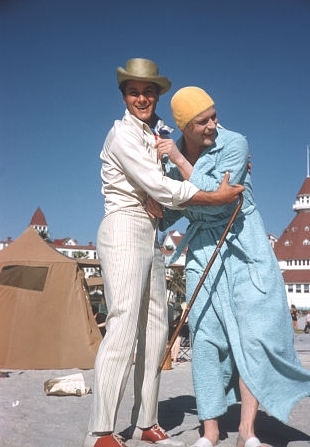 What I hadn’t heard before was that Danny Kaye wanted to be in the film, but that Wilder turned him down and requested Jack Lemmon. Curtis comes up with an elaborate explanation for his “like kissing Hitler” quote; and is still smarting from jokes about his line reading, “Yondah lies da castle of my faddah,” from an early film, Son of Ali Baba. Even with all of his grand-standing, Curtis can’t help but be interesting on how Hollywood shaped his life. He describes how intense ambition for Hollywood success was the cornerstone of his marriage to Janet Leigh, “Our marriage changed that [feeling like he was a long way from stardom]. The explosion of publicity pushed both of us much farther than we would have gone in the same amount of time if we hadn’t gotten married.” He is unapologetic about his countless affairs — he had a reputation for having affairs with his leading ladies, and wife Leigh was used to it — it was part of the territory. But he always comes back to Marilyn, which does make for the most interesting stories in the book. He claims to have had an affair with her, when they were both just starting out in Hollywood. That seems possible, but all such claims are suspect when they appear so long after the other party has died. 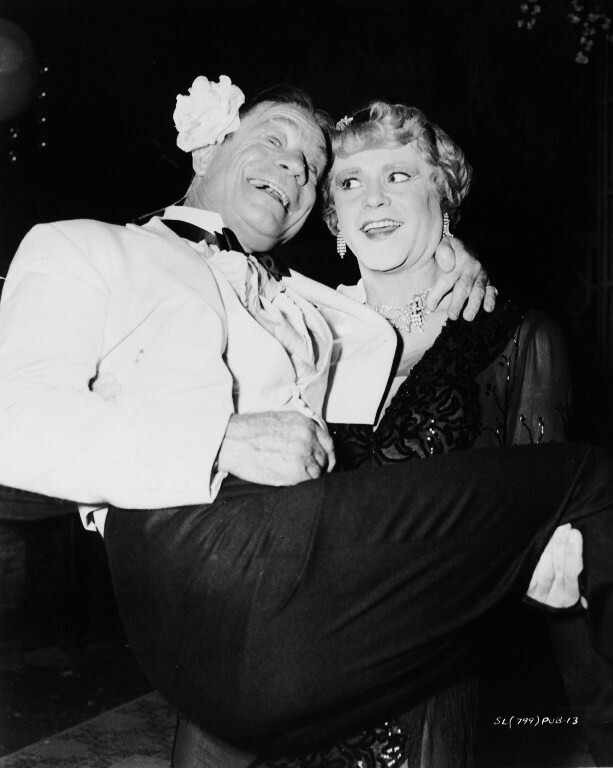 What doesn’t ring true at all are his claims that later he had a one-night stand with her on the set of Some Like it Hot,which resulted in her becoming pregnant, complete with a show-down scene with her husband Arthur Miller. Marilyn “stole” one of Jack Lemmon’s black dresses from wardrobe for herself to wear in the film. She posed for countless publicity stills but only approved a few, as she was self-conscious about her weight gain — of which the press was unremittingly unkind. 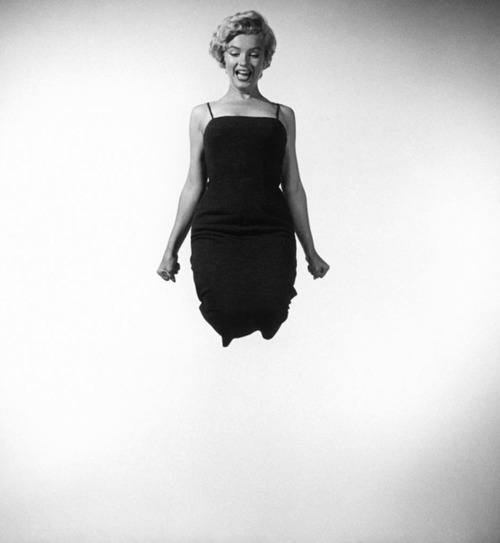 Marilyn had to put up with a lot of crap during filming about her weight. Wilder asked if she would consider losing a few pounds. She used humor to deflect the insult. 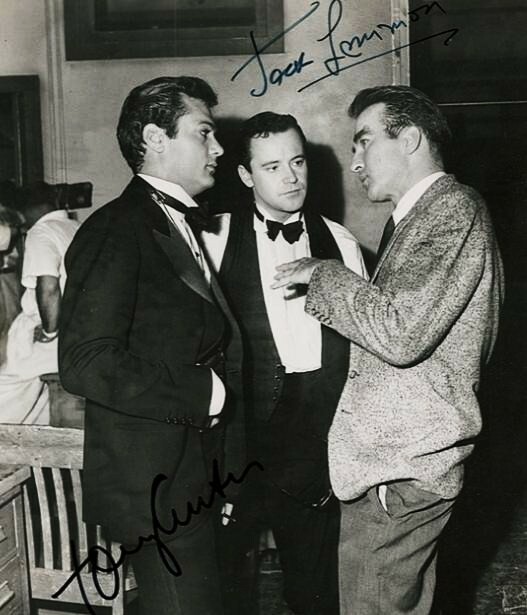 “You want your audience to be able to distinguish me from Tony and Jack, don’t you? And besides, my husband likes me plump.” She was pregnant at the time. She traveled with an entourage — secretary May Reis, acting coach Paula Strasberg, dance director Jack Cole, and hair designer Sidney Guilaroff. Marilyn was unsatisfied with her first scene in the film, which consisted of just walking past the train, and complained to Wilder. He and Diamond then came up with the burst of steam that gooses her — and makes a much funnier, more memorable entrance. Everyone came to see Marilyn on set, from extras to Montgomery Clift and Maureen Stapleton — they all were enthralled with her. 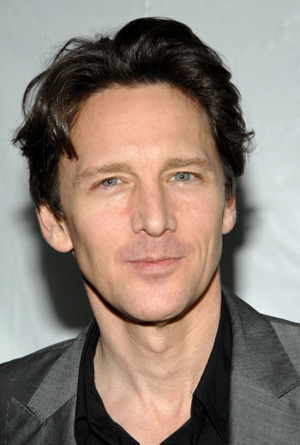 Andrew McCarthy is a familiar face to anyone who grew up in the ’80s, for his film work with the “Brat Pack” and beyond, with contributions to movies that have entered American pop culture — Pretty in Pink, St. Elmo’s Fire, and Weekend at Bernie’s. McCarthy has been acting steadily since his first film, in 1983, Class, which co-starred Jacqueline Bisset. But what some may not be aware of is that McCarthy is also a director (a short film and television) and has found a second career as an award-winning travel writer, contributing articles to such publications as National Geographic Traveler (where he is an editor-at-large), Travel+Leisure, The Wall Street Journal, The New York Times, and Slate. His new book, The Longest Way Home: One Man’s Quest for the Courage to Settle Down combines his flair for writing about exotic locales with his personal quest to commit to marrying his long-time girlfriend. The Longest Way Home is an interesting combination of memoir and travel writing. McCarthy is engaging whether he is telling stories about his childhood in New Jersey, his early Hollywood success, trying to conquer his demons, or recounting his trip to the top of Mt. Kilimanjaro. McCarthy is unfailingly honest as he confronts his fear of commitment. He had already been married and divorced, an although deeply in love with his new partner, is wary of taking the next step towards marriage. Prone to self-examination, he realizes that he has always been a bit of a loner and an outsider, and doesn’t want to repeat his previous mistakes of distancing himself from his wife and family. As he and his fiancée plan their upcoming nuptials, he accepts a series of travel assignments, which at first may seem like an escape from home and planning their wedding, but which actually helps him confront his fears and prepare him for his future life with her and their children. He is always interesting in his descriptions of the sights he sees, finding hidden treasures in unfamiliar and familiar places. A visit to Baltimore and the house where Babe Ruth was born is an opportunity for McCarthy to talk about one of his favorite things — the home as micro museum. He first visited such a museum with his first wife in Stockholm, Sweden — playwright and novelist August Strindberg’s house. The more McCarthy travels, the more he finds himself being pulled towards people, and wanting to involve his family in this part of his life. As the book progresses, he’s no longer quite the loner that he used to be. Readers will enjoy taking this journey with McCarthy, and may be tempted to plan some soul-searching travel of their own. Article first published as Book Review: The Longest Way Home: One Man’s Quest for the Courage to Settle Down by Andrew McCarthy on Blogcritics. These are both short, so I am counting them as one entry. The kid and I have fallen in love with audio books for our driving around town and beyond. We first tackled Harry Potter and the Sorcerer’s Stone, which we owned. That kept us busy for quite a while. Then we discovered our local library has quite an extensive selection of audio books in the children’s library, so we grabbed a few titles we thought would be fun. She loved Catwings , by Ursula K. Le Guin, when her kindergarten teacher read it to the class, and I’m happy to report that now that she is a big third grader she still loves it, as well as one of its sequels, Wonderful Alexander and the Catwings. 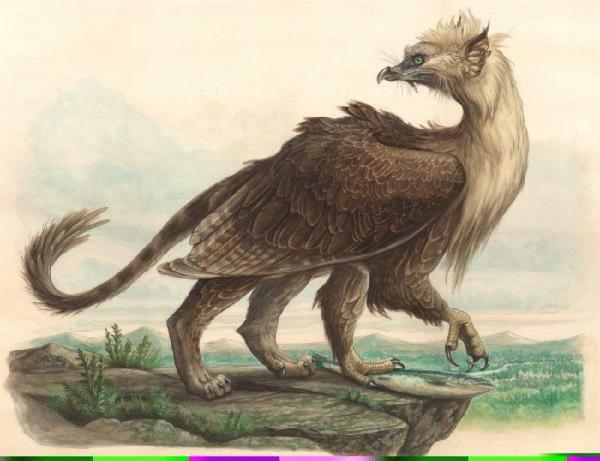 Kittens having wings can be a convenience, and a boon, but can also prove to be dangerous, as other animals that they encounter are not too thrilled to meet cats that can fly. Catwings is a gentle story, for the most part, full of great imagery, as the cats learn to fly and interact with their new environment. 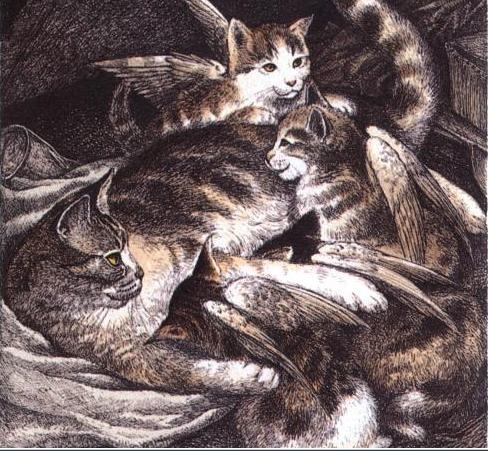 But Le Guin does not shy away from the real dangers of a stray cat’s existence, even one that has wings. A few dangerous and exciting moments are provided by one of the kitten’s interactions with a large owl, but my daughter, although scared for the cats, was also enthralled. It’s a great little book. The other book was just as fun. In Alexander the Wonderful and the Catwings a ginger kitten named Alexander gets lost in the woods on a winter’s day — a terrifying situation for a little cat. Luckily he also meets one of the Catwings, and his feline life will never be the same. These books are definitely geared towards children, but they were highly enjoyable for me to listen to as well. Le Guin has wonderful enunciation and connects with each of the characters in her narration. After we listened to the books we had to dig out our hard copy versions, as they have some great illustrations by S. D. Schindler. I was trying to picture them while I listened to the author relate the Catwings’ adventures. Author Gideon Defoe’s fifth and latest Pirates! adventure, the soon-to-be-released The Pirates! : In an Adventure with the Romantics is as silly and amusing as his previous entries in the series. The Romantics in question are Lord Byron, Percy Bysshe Shelley, and Mary Godwin, who are bored out of their minds in a villa they are sharing in drizzly Geneva, Switzerland, and just raring for some adventure. 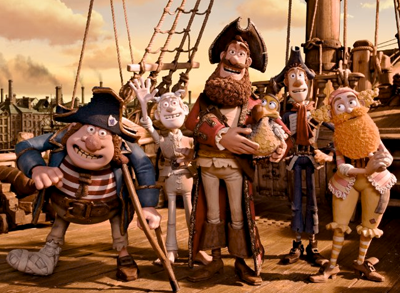 Enter the Pirate Captain and his crew, including the Pirate with a Scarf (his first mate), the Pirate with Gout, Jennifer, the Albino Pirate, and all the rest. For a reasonable price, the hard-up Pirate Captain charges the Romantics for an adventure they’ll never forget. But there are complications. The Pirates don’t exactly know how to produce an adventure, besides hoping one will turn up on their doorstep. And the Pirate Captain seems to be developing quite a crush on Mary. Is it possible that their shared interests in monsters might bring them closer together? As in his other books, Defoe peppers the story with eccentric notes to the reader. If it happens that one is unfamiliar with Mary Godwin, Defoe tells the reader that “Mary’s mother, Mary Wollstonecraft, wrote A Vindication of the Rights of Woman. Her father, William Godwin, who was a bit better at titles, wrote Jack and the Beanstalk.” Funny and informative. Defoe’s depiction of Byron, with a booming voice, reminiscent of British actor Brian Blessed, is always amusing. Mary Godwin comes across as smart and even sassy. Shelley fares the worst — possibly Defoe is no great fan of his poetry. He certainly casts doubt on why Godwin and Shelley ever managed to get together. Their adventures take them from the Lakes of Geneva to the Bodleian Library at Oxford University and to a remote and ghostly castle in the Carpathian mountains. We learn a little bit more about the intrepid and always self-confident Pirate Captain, such as his flair for writing pulp fiction and a mysterious belly tattoo. Defoe, who, as his bio states, “is a bit of a one-trick pony,” is definitely onto something good with his Pirates! series. The books are a rollicking read, full of laughs and lots of fun for readers who spot some of his literary in-jokes. The Pirates! In an Adventure with the Romantics is most entertaining, and hopefully The Pirate Captain and his crew will continue their adventures for some time to come. Article first published as Book Review: The Pirates! In an Adventure with the Romantics by Gideon Defoe on Blogcritics. Although this action, or more accurately, inaction on Strasberg’s part would have disappointed Marilyn, it is because of his neglect that so many of her personal items remained intact, and are able to be viewed as a whole. Anna Strasberg, who had never even met Marilyn, asked family friend Stanley Buchthal to help her determine what to do with the boxes’ contents, and he soon enlisted the help of editor and essayist Bernard Comment. Together the pair sorted through the materials and created Fragments: Poems, Intimate Notes, Letters a glimpse into Marilyn’s life and mind in book form. Buchtal and Comment have tried to present Marilyn’s writings in as straightforward a manner as possible, keeping things chronological. 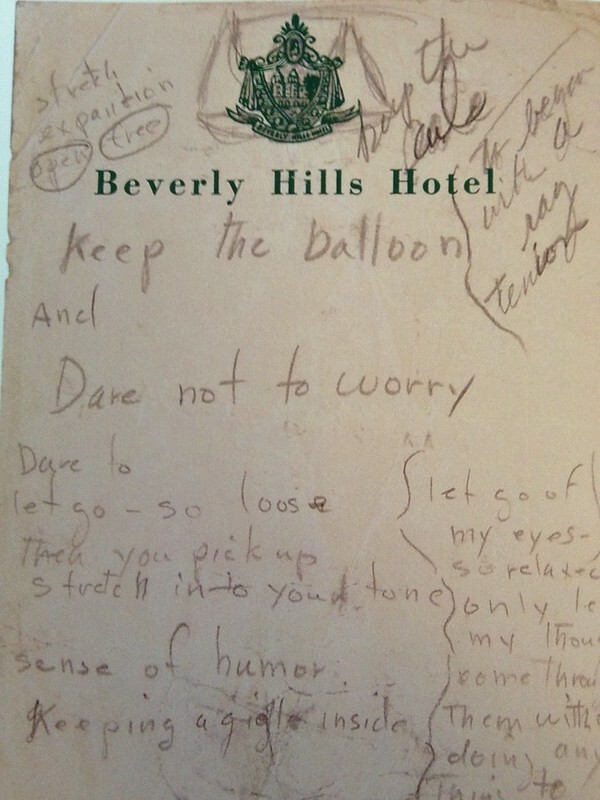 A photograph of the original item, in Marilyn’s handwriting,is presented on a left-hand page, while their transcription, sometimes joined by notes of explanation, appears opposite, on the right. Some of her notes are like puzzles or maps. Talk about fragments. 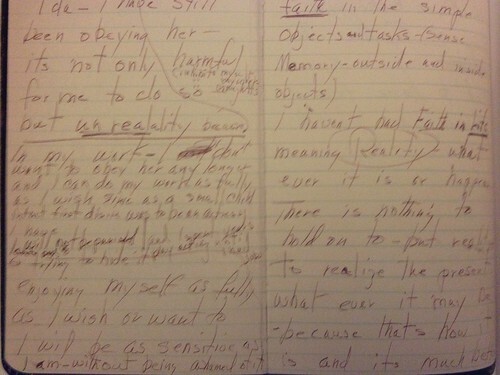 She writes a paragraph in her notebook on the left hand page, and then continues, sometimes at an odd angle, on the opposite page, and then back again, drawing arrows, linking one thought to the next. She may not have been writing continuously, and went back to add ideas at a later time, or she may have purposely wanted to keep her writing difficult to understand and more private. the hold of that glance. starting tomorrow I will take care of myself for that’s all I really have ever had. Roxbury — … I think I hate it here because there is no love here anymore. I regret the effort I desperately made here. … what I could endure helped both of us and in a material way which means so much more to him than me. … When one wants to stay alone as my love (Arthur) indicates the other must stay apart. There is a really interesting letter to Lee Strasberg, dated December 18, 1961, where Marilyn tells him she is forming an independent production company, possibly jointly with Marlon Brando, and that she would like him to be a part of it. Marilyn definitely had some big plans for her future, and was constantly trying to get more control over her career. 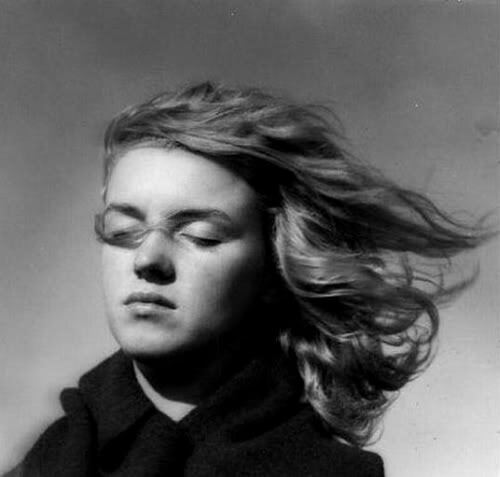 Strasberg wouldn’t accept Marilyn as a student unless she agreed to undergo psychoanalysis. This led to a whole additional host of problems for the already insecure star, and doctors who may have done her more harm than good. After her break-up with Miller, her New York psychiatrist Marianne Kris had her committed to Payne Whitney’s psychiatric ward — Marilyn thought she was only going to a hospital for a rest cure. This was one of the most traumatic events of Marilyn’s life. She reached out to Kris and the Strasbergs, but only ex-husband Joe DiMaggio was able to secure her release. 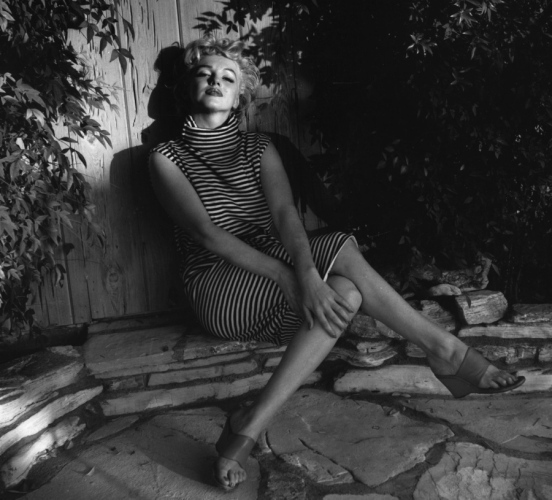 Once she moved to Los Angeles, her psychiatrist Dr. Ralph Greenson crossed all the boundaries of doctor/patient relations by having Marilyn socialize with his family. He may also have been instrumental in her taking more barbiturates than were necessary on the day of her death. Fragments: Poems, Intimate Notes, Letters stresses Marilyn’s love of books and her lifelong respect for writers. Writers also seem to have admired her greatly, as Buchtal and Comment take pains to point out. Truman Capote, who met her in 1950, dedicated his short story “A Beautiful Child” to her. Norman Mailer tried to cultivate her friendship, but she demurred. He wrote the controversial “Marilyn,” which started the unsubstantiated-by-fact Kennedy/Marilyn rumor mill going on 1973. Somerset Maugham approved of her proposed role as Sadie Thompson in a television production of “Rain,” which was never produced. Fragments: Poems, Intimate Notes, Letters is an interesting, even unexpected look into Marilyn’s life, with the accent not on glamor, but on her thoughts and aspirations. 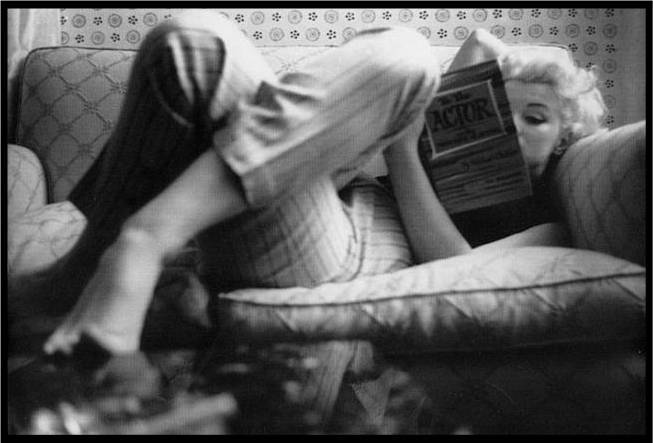 Marilyn was always trying to learn new things and improve herself, and many of these fragments show her progress. The book and DVD of The Power of Tai Chi, featuring Master Shao Zhao Ming is a nice introduction to basics of tai chi, including philosophy, breathing and forms. Concepts like qi (personal energy) and Dan Tian (where energy is stored in the body) are explained in easy-to-understand words, pictures and exercises. Shao even includes some basic qi gong concepts and exercises, demonstrating them with and his wife Ching, recommending doing qi gong before starting to practice tai chi. He also demonstrates the martial applications of tai chi, an aspect it is good to remember that underlies all of the seemingly serene postures. Warm-up and cool down exercises and a relaxing meditation are also included. The meat of the package is Tai Chi 8-form, an extremely shortened version of Yang-style tai chi. I’m not sure how purists would feel about his routine, but it does include some of the well-known postures — Repulse Monkey, Brush Knee, Parting the Horses Mane, Jade Lady, Cloud Hands, etc. The book presents step-by-step photos with explanations of each exercise and routine. It is best to read the book first and then watch the DVD which is structured in exactly the same sequence. Viewers will be able to follow along more easily after they have read and seen examples of the main concepts. I have been learning the long-form of the Yang style for the past few months and have come to feel that it is just too much for me. I’m about a third of the way through the 108 moves and have been looking around for some other resources. I don’t think this Tai Chi 8-form will do the trick. I need something a bit more challenging, but not as intense and exhaustive as the 108-form. There is a 24-form version that I hope will be what I’m looking for. But for someone who is just starting out and would like to dip their toe in the tai chi waters I think this book and DVD combo would be a good place to start. Just the meditation section at the end of the DVD is a nice, peaceful, thing to do.